Don't you love exciting mail days? 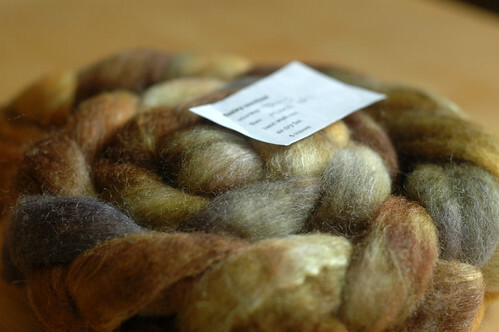 It's Funky Carolina Mixed BFL in "Toby". I really kinda love mixed BFL- it's white and brown wool mixed together and over-dyed, so it comes out all lovely and streaky. 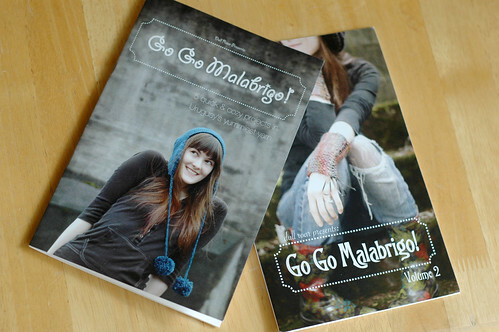 Booklets! It's hard to tell here, but they're a lovely half-page size, perfect for knitting bags, and distributed to LYS's via Deep South (who also handles wholesaling my patterns.) So hopefully, you'll see these little suckers in an LYS near you someday soon! Hoorah! Oh, how nice! The books look awesome! Yarn looks awesome! 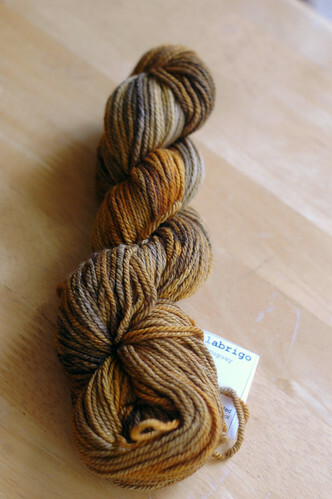 It seems pretty expensive for such a small skein, but everyone in the Junkies forum is raving about it. The printing job on the booklets also looks great. Good work! 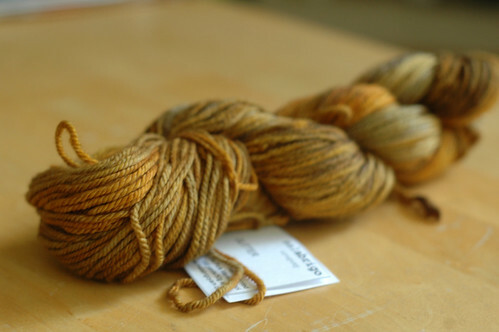 It is a little pricey, but it seriously feels like cashmere, so that sorta makes it ok. Also it's 168 yards and more of a dk than a sport- I'm pretty sure Darla took less than that (the skein I had was bigger but the hat only weighs 40g, and these skeins are 50g.) So at least you can get a whole hat out of it! Just make sure you call them to order so you can get it shipped for $2 instead of $12.